It’s still sweltering for most of us, but cooler temps will be here before you know it. 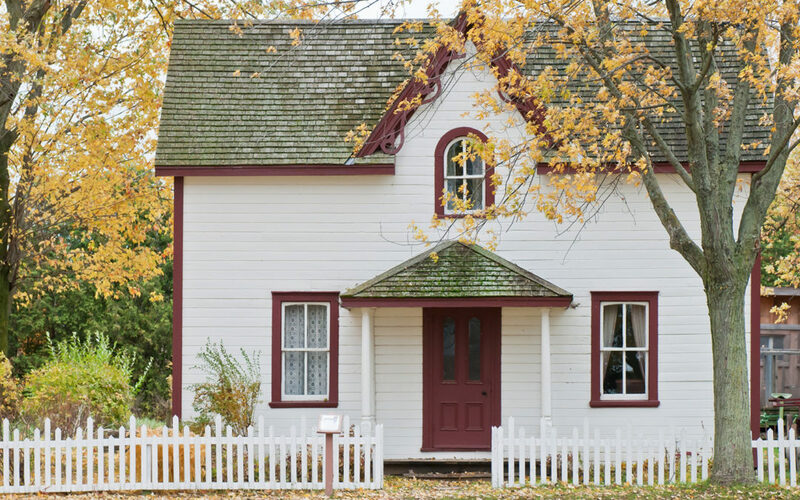 So much can go wrong with a house during the winter, but just a little babying will go a long way to make sure your home stays in tip-top shape all the way through spring (and beyond, with any luck). These are all quick, easy things any homeowner can do right now to prevent a disaster. Checking your foundation for cracks and caulking them is one of the cheapest and quickest things you can do to keep moisture out of your home and hot air inside your home. Plus, mice and other critters can fit through even small cracks. All you’ll need is a caulk gun, cement sealant, and caulk. Use the cement sealant for any cracks you find in your foundation. You can use caulk for areas where masonry meets siding, around windows and doorframes, and where pipes and wires go into the house. If you do only one thing this fall, this should be it. Clogged gutters can keep rain and melting snow on your roof, and they can also cause ice dams. This can lead to leaks in your roof. It’s time to get up on your roof and clear out all the leaves and debris. If you have a lot of trees by your gutters that will be losing leaves throughout the next few months, you may want to hold off. If you don’t winterize your hoses and faucets, you can end up with a very expensive pipe repair. Leaving water in pipes and then having them burst during a very cold winter is common but very preventable. First, drain all of your garden hoses and store them inside. Drain the lines to your outside faucets (you might have small caps on the faucets, which you should loosen). Next, shut off outdoor faucets. If you don’t have a shutoff to outdoor faucets, Styrofoam faucet covers cost just a couple of dollars at any home improvement store. First, turn off your A/C unit. The exterior power switch is in a small box on the side of your home. Flip it to the “off” position. Next, use a broom to sweep any leaves or other debris off of the A/C. The use a hose to wash off dirt and dust. Last, place a waterproof cover over the unit to insulate it and prevent damage during the winter. You can find covers specifically for A/C units at home improvement stores. These little steps can really extend the life of your air conditioning. Comb over your property, looking for dead or decaying branches on trees. These can become dangerous when they’re loaded with snow and ice. They’re also potentially vulnerable to high winds. It’s best to remove them now, before they fall on you, your house, or your car. Most roof leaks are caused by just one broken shingle or rusty nail that lets a shingle slip out of place. If you get a leak on a cold winter day, the roof is the last place you want to be. Get on your roof and look for shingle damage. If you spot a damaged shingle, use a pry bar to loosen the shingle above the broken one. Pry out the nails that are holding the damaged shingle in place, slip in a new shingle, and secure it with new nails. Test your carbon monoxide and smoke detectors, and swap out all of their batteries. It’s also a good idea to run a vacuum attachment over them to remove any dust. Check to make sure you know where your fire extinguishers are and that they are working. Fire extinguishers more than six years old need to be replaced, and you should have at least one on each floor. Your favorite HVAC person is going to be busy once the cold comes. Schedule a furnace tune-up now to make sure your furnace is functioning properly when you need it. Cold air enters your house through any gaps in your doors. Add weatherstripping to stop the leaking. Peel-and-stick foam strips are best for the top and the lock-side jambs. A peel-and-stick rubber strip is best for the hinge side jambs. Creosote is a flammable byproduct of burning wood, so it can be really hazardous if it accumulates in your flue or chimney. Your chimney should be inspected for creosote buildup every year or even more frequently if you use your wood-burning fireplace often. Creosote deposits should be cleaned by a chimney sweep. Make sure the flue is unblocked. Birds love to put their nest on a flue without a chimney cap. Your damper is the metal plate just above the firebox that opens and closes the flue. Make sure it opens and closes correctly. Make sure the flue cap, if you have one, is in place. Make sure brick chimneys don’t have any loose or broken joints. You don’t want a chimney to come falling down! I hope this list of easy tasks helps you keep your home safe and cozy as we transition into the fall and winter months. I think it’s time for me to get started on them, too!